Our May meeting is one you won’t want to miss! 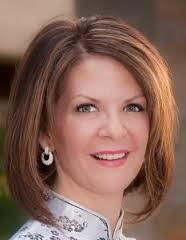 Senator Kelli Ward (serving Arizona’s 5th Legislative District) will speak to us at our May 20th luncheon. She will provide us with a legislative update including a discussion of the state budget. Plus Senator Ward will highlight several important bills currently working their way through the state legislature. Senator Ward will close by taking questions from the audience in order to find out what is important to our members and guests who will be in attendance. IMPORTANT NOTE! On April 9th, 2015, Senator Ward announced that she is exploring a 2016 run for the U.S. Senate against U.S. Senator of Arizona John McCain. The cost of the luncheon is $25. Checks are preferred but credit cards are accepted. To make a reservation for our luncheon, contact Edith Stock by email: pvrwlunch@gmail.com, or call her at 480.298.7818 (cell). Please note that reservations are REQUIRED. And a reservation MADE is a reservation PAID!